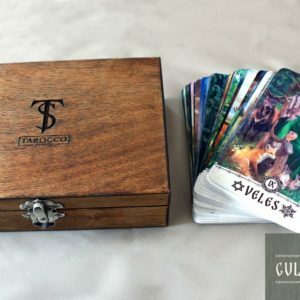 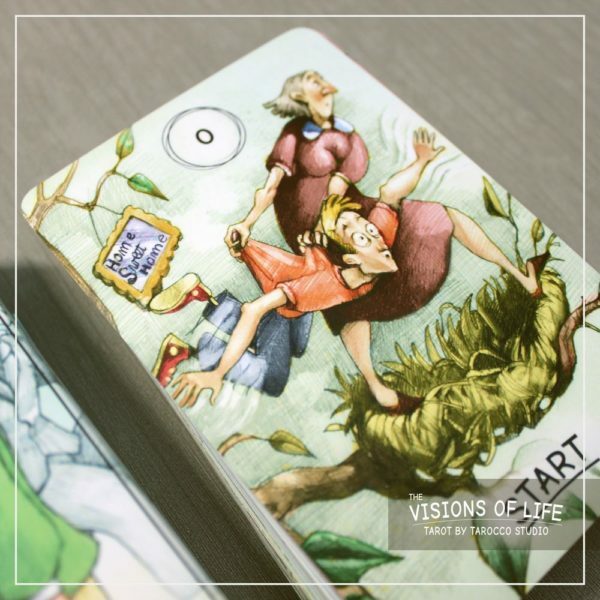 Tarot deck “Visions of life” is made in the form of drawn illustrations, which use humor to illuminate different life situations, but despite this, the deck is created for professional work too. 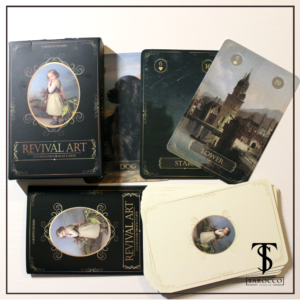 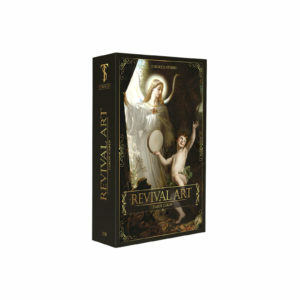 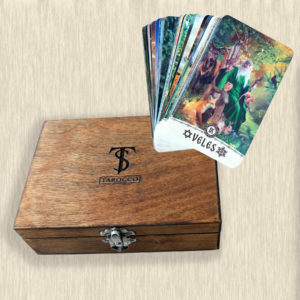 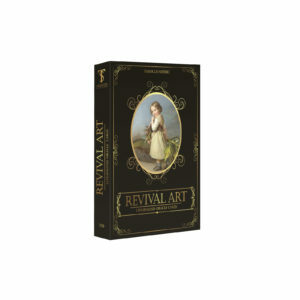 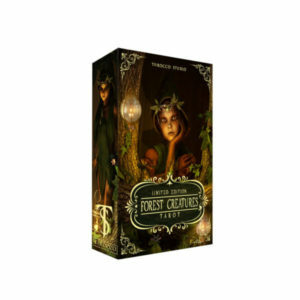 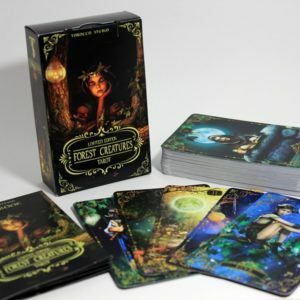 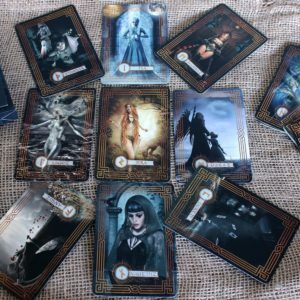 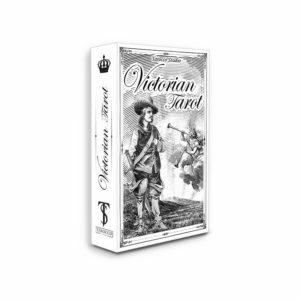 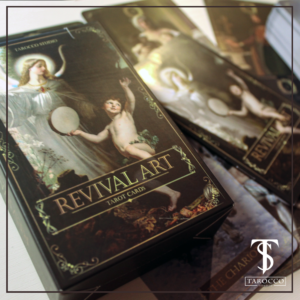 It is a very intuitive tarot deck with light energy. 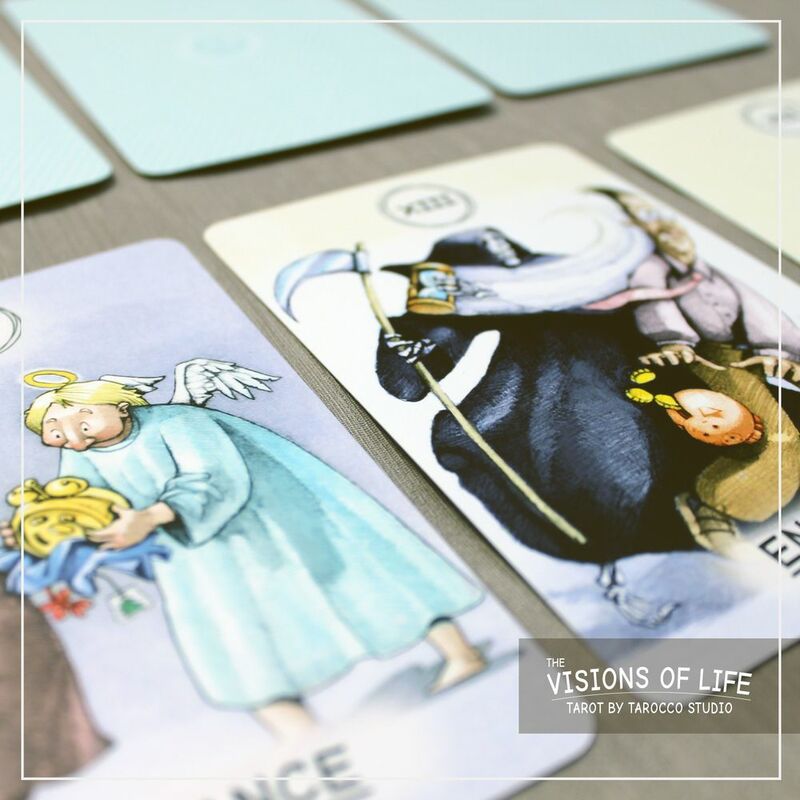 Tarot deck “Visions of life” is always ready to work, to help you find the maximum potential and get the guidance which is necessary to help you find the best answer for any situation. 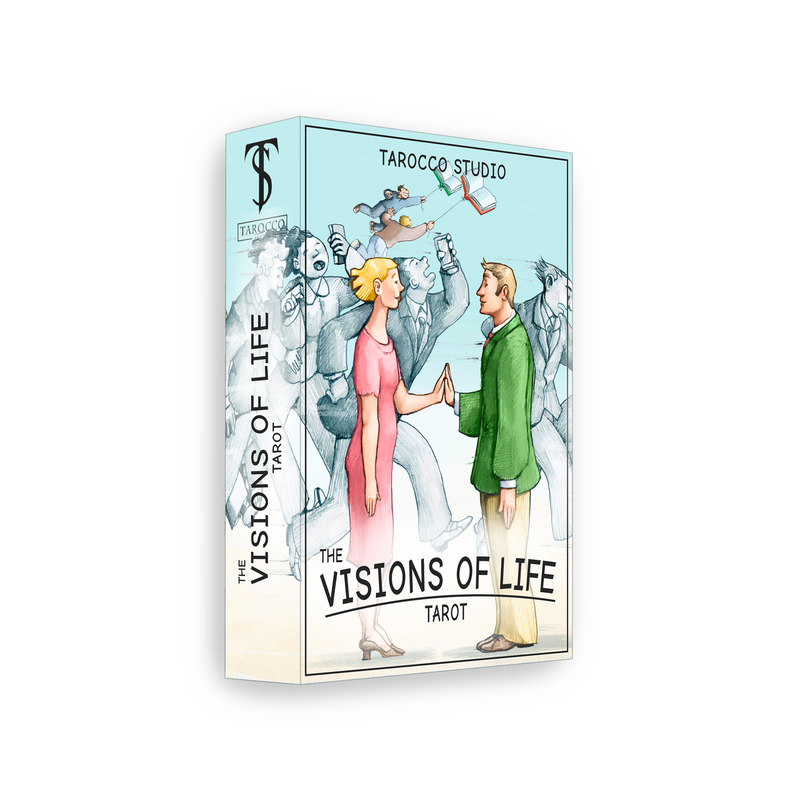 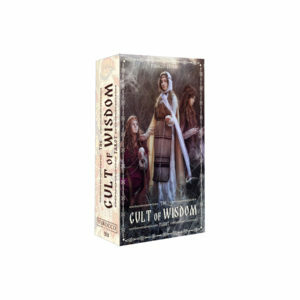 This deck is able to find out and accurately convey your emotional and spiritual state. 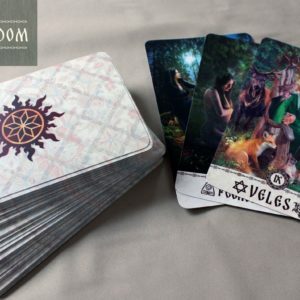 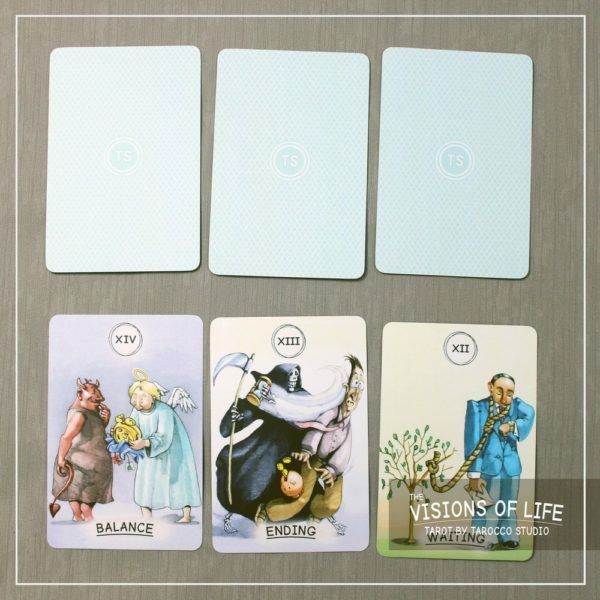 While accumulating the experience of working with the deck, you also get an invisible connection thanks to which you begin to communicate with the deck at an intuitive level. 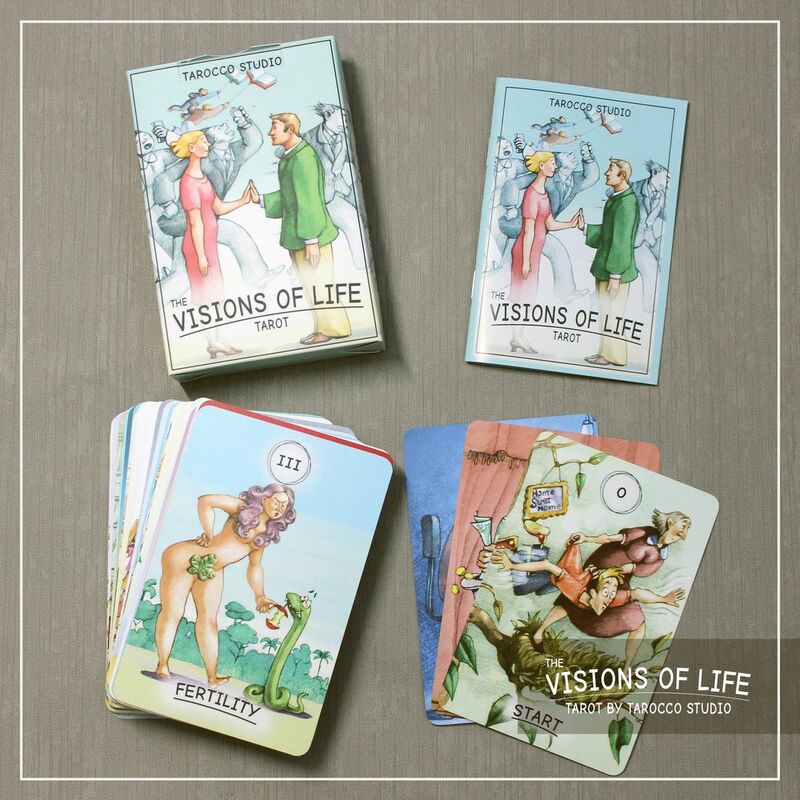 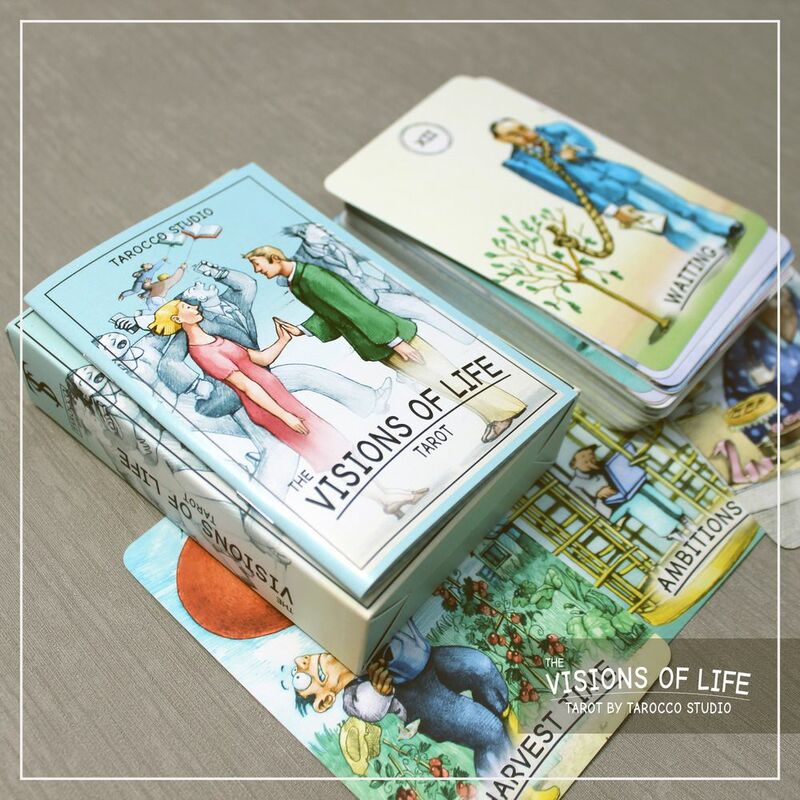 Each “Visions of life” card displays the direct and inverted meaning. 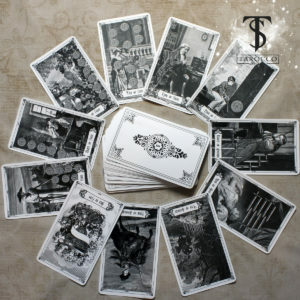 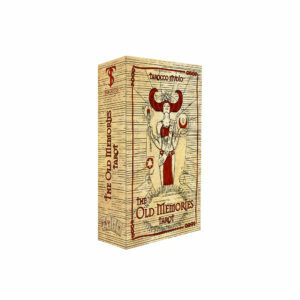 There are 78 cards in the deck: 22 Senior lasso (Major Arcana) and 56 cards of special denominations (Minor Arcana). 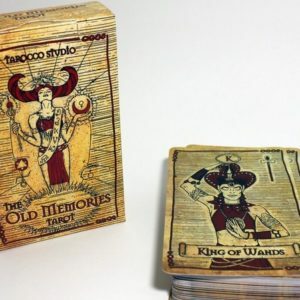 All of them are covered with a plastic protective coating. 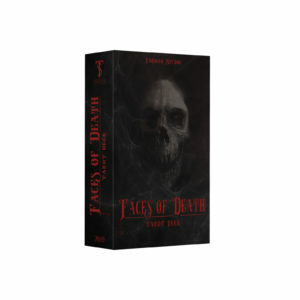 The brochure contains a brief description and keywords. Full instructions for working with a deck are presented in PDF format.